Below are some of the frequently asked questions (FAQs) that we receive here at Vintage Beer Shirt Club. If your question isn’t on the list, please contact us directly! For basic information on how the club works, please first visit our HOW IT WORKS page! What are the shirts like? Our shirts all feature unique, custom artwork featuring some of the best looking art work from breweries, beer labels, and breweriana around the world. All of our t-shirts are custom designed and manufactured by The Vintage Beer Shirt Club in the U.S.A. to ensure consistent quality and fit. We do like to mix it up a bit, so our t-shirts come in lots of colors and great fit and style. We use only the highest quality 60%-40% t-shirts and will keep the fit consistent every month. As long as you stay the same size, so will your t-shirts! Who makes the cut with Vintage Beer Shirt Club? The Vintage Beer Shirt Club scours the largest collection of beer labels, Cans, Bottles, breweriana collectables to find the best and the most interesting artwork used over the years. Every design has a great look and great story to tell. But we don’t care if they were the biggest operation in town. We only care that they are cool designs and have a great story behind the brewery. Basically we choose great art…then design really cool t-shirts that our members are proud to wear. How do I nominate a Great Beer? We would love to have your nomination for a Brewery, Please send us an email with all of the info. Do you ever repeat a shirt? Never! Ever! Each month, Vintage Beer Shirt Club releases a new and original shirt that we send out to all of our members. Once that shirt is featured, it is retired and will never be repeated. We offer shirts in men’s sizes, from Small to 4XL. We offer short sleeve in all shirt sizes. How big do the shirts run? I’m not sure what size I should get. 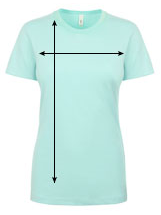 Please check out our sizing chart for full details. Our shirts are 60/40 combed ringspun cotton/polyester, Fabric laundered. In general, we recommend that if you’re not sure, choose one side larger – most people would rather have a shirt that is a little big than a little small. And remember, you can change your shirt size at any time with Vintage Beer Shirt Club. 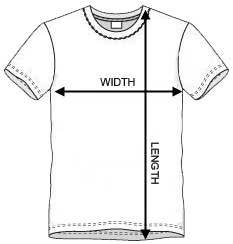 Once I join the club, can I change my shirt size? Absolutely. At any time, you can change the shirt size on your membership for both month-to-month and prepaid memberships. Just make the change by the last day of the month, and your next shirt will be in the new size. To change your shirt size, log in at My Account. Yes, our shirts are pre-shrunk, 60/40 combed ringspun cotton/polyester. As with any cotton shirt, it is possible you may experience very minimal shrinkage (0-10%). Like we said above, we recommend that if you’re not sure, choose one size larger – most people would rather have a shirt that is a little big than a little small. And remember, you can change your shirt size at any time with Vintage Beer Shirt Club. Do you offer pocket tees? Not at this time. We may consider this option in the future but we have to work out some logistical issues. Do you offer a long sleeve option? Not at this time. Please send us your feedback at contact us and sign up for our Newsletter for promos and more information. Our memberships start at $24 a month, which includes FREE shipping in the USA. Discounts are available with pre-paid memberships – for a complete list of prices and options, please visit our JOIN THE CLUB page. 2XL and 3XL sizes are an additional $3 per shirt, and if you’re a resident of Texas then you’ll have to pay State sales tax. All of our shirts are shipped by the US Postal Service. Please allow 10 business days, but typical delivery time is 3-5 business days after the shirt is shipped. To track your shipments, please log in to My Account. When will my first shirt ship? When you sign up for a membership, we will ship out your first shirt ASAP – generally within a day or two. If you join over the weekend or a holiday, give us an extra few days! Typical delivery time in the USA is 3-5 business days after the shirt is shipped, but please allow 10 business days. When will I get my new shirt each month? After you receive your first shirt (see above) you will receive our newest shirt each month around the middle of the month. It will vary from month to month depending on a number of factors, such as if there is a holiday or beer drinking has been particularly good. Yes we now ship to the US and Canada! How do I cancel my Month-to-Month membership? You can cancel a Month-to-Month membership at anytime – no long term commitment is required. Just visit the My Account page , select the membership, and click on cancel. If there is anything we can do to improve your experience, please contact us – we will be happy to make it right before you cancel. With a Month-to-Month membership, when am I charged each month? With a Month-to-Month membership, you are charged immediately for the first shirt (which we ship out right away), then you are charged on the 1st of each month. I joined the club, then I was charged again a few days later. What happened? With a Month-to-Month membership, you are charged immediately, then on the 1st of each following month. So for example if you join on May 31st, you will be charged again the very next day on June 1st. If you think you were charged more than once in error, please Contact Us and we’ll look into it right away. Why was I only charged $1.00? 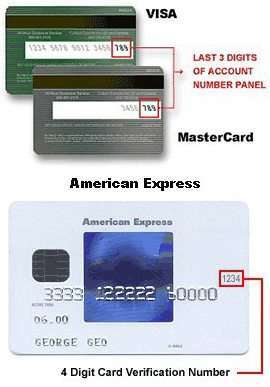 When you update your payment method with us, we need to verify your payment info to make sure your membership is set up properly. We credit that $1.00 to your account and take that off of the total of your next prepaid membership or monthly membership payment. Do I have to have all of the membership information (mailing address, shirt size) if I want to buy a gift? For our gift memberships you will have to have the gift recipient’s shirt size, mailing address, and email address. After you give the gift, you or the gift recipient can make changes at any time. If you don’t have all of this information, you can give a gift certificate that is good for any of our membership types – it can be used by anyone, anytime. Are you going to ruin the surprise? We would never! With our gift memberships, you have the option to set the start date (so you can plan ahead!) or delay the “welcome” email until after the first shirt has been received. You also have the option of having the first shirt shipped to you (with the rest of the shirts going to the gift recipient) so you can present the first shirt in person, with a nice little bow on it (bow not included).